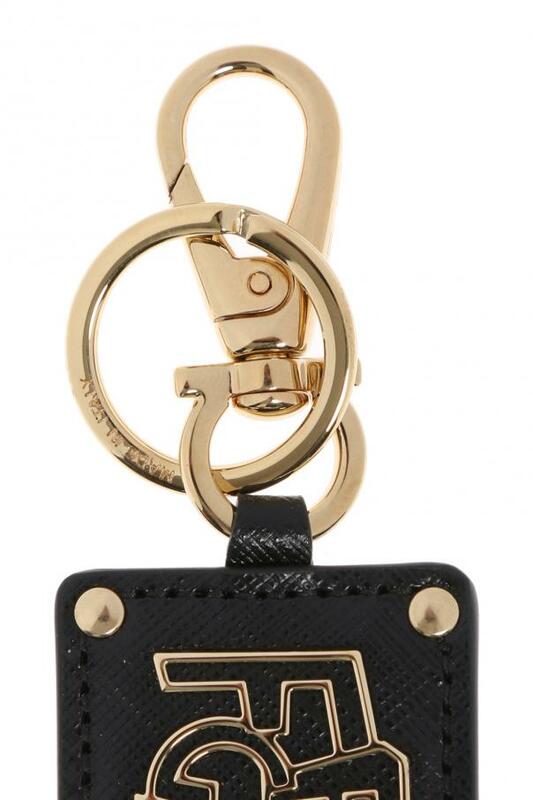 Black key ring with logo from Salvatore Ferragamo. Made of textured calf leather. Gold-tone metal hardware.